Pop one in a pot and bring the hot desert to your desk or home! These little prickly plants are living the high life at the top of the trend tree, as their quirky shapes and hostile touch are giving us funky fun vibes! 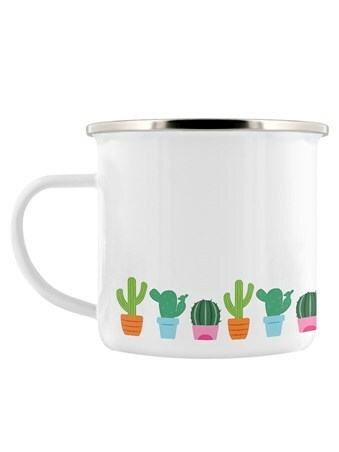 This super cute and colourful tin mug is perfect for brightening up your work space or kitchen. 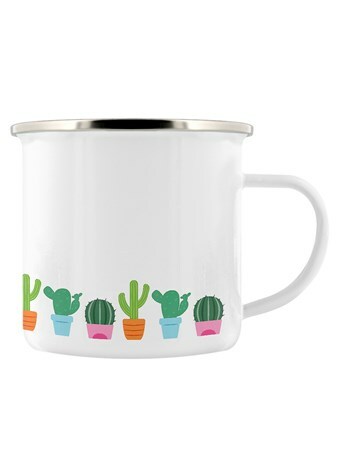 Sat next to your favourite cactus, your tea break is sure to be prickletastic! 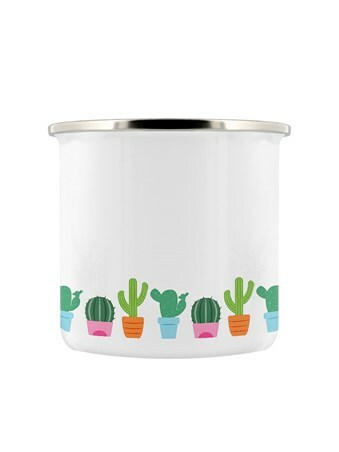 High quality, framed Little Pots Of Prickles, Cacti enamel mug with a bespoke frame by our custom framing service.